On this weeks episode of the Open Sky Fitness Podcast, we drop the bomb that we finally had our little baby girl. Plus a hint at the bonus episode coming out soon about our birthing story. This week we throw back to Dr. Bill Sears and our discussion about how to live a long healthy life without inflammation. Click here to see the original show notes! in our Open Sky Fitness Podcast Group on protein powders! Sign up for our next Sky Fit Challenge! This week, we have an awesome episode today all about allergies and how to naturally alleviate them. We were actually prompted to talk about this topic when Devon woke up with a horrible headache one more. She knew it wasn't a normal headache and narrowed it down to being caused by seasonal allergies. After using a couple of household items and simple foods, teas, and essential oils, she felt tons better. We'll be sharing what she used plus other easy ways to naturally alleviate your allergies. Why it's better to naturally alleviate allergies rather than rely on medicine like antihistamines or nasal sprays. How allergy medicine can negatively affect the gut. What a low antihistamine diet is and why it's not the same as working with seasonal allergies. Oral allergy syndrome that is caused by pollen and foods that you react to unless you cook them. How our gut has a huge connection with our allergies. How probiotics and fermented foods are a great way to heal the gut and keep your allergies at bay. Everyday household items and common foods you can easily find to help naturally alleviate your allergies. The best way to help prevent allergy symptoms is to ensure you have a healthy gut. If you eat a lot of processed food and sugars, they are going to have a negative impact on your gut lining and therefore your immune system as well. 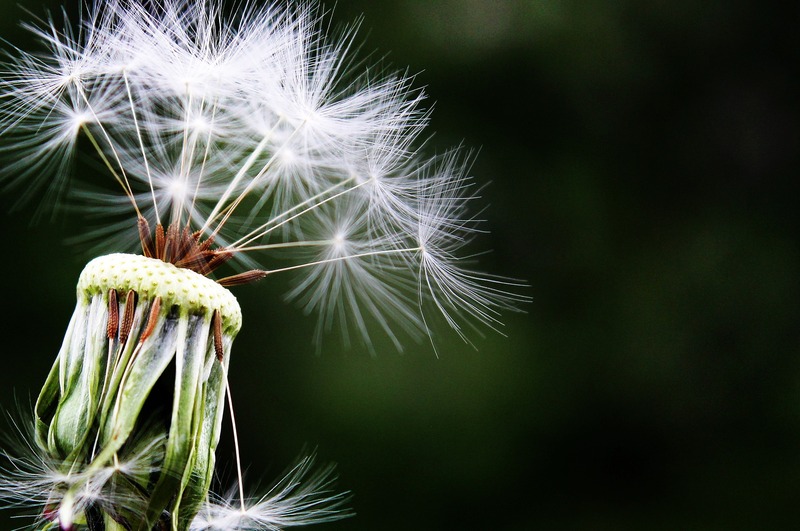 2:00 About today's topic: seasonal allergies and how to naturally alleviate them. 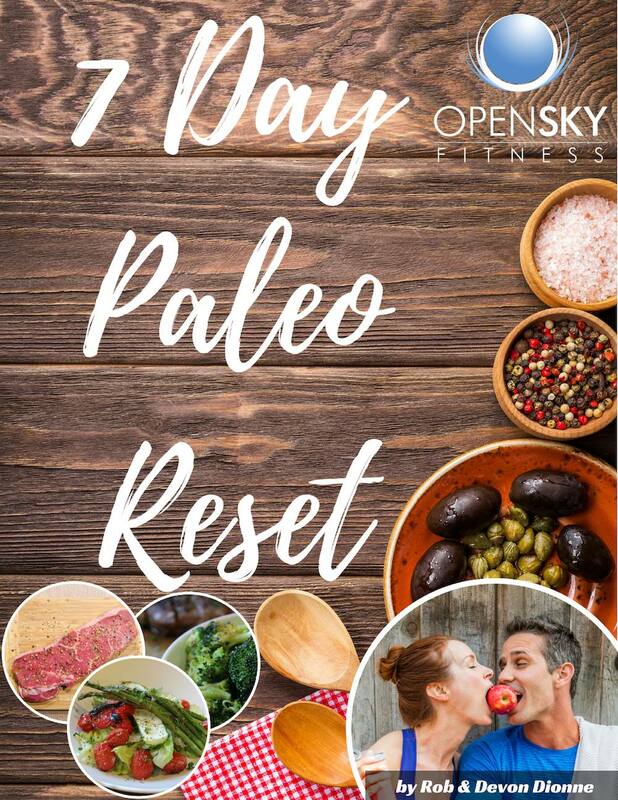 2:50 Join us for our upcoming Facebook Live series in The Open Sky Fitness Podcast Group on Facebook on Sunday, September 2 on protein powder. 4:40 Question from the OSF Facebook Group: How can you be consistent when not seeing your results quick enough? 7:00 The top takeaways and real-life benefits people get from the Sky Fit Challenge without any drastic measures. 8:00 Why weight loss isn't the only indicator of a healthy body. 12:00 Devon's experience with seasonal allergies and headaches caused by them. 13:00 Devon's search for a natural way to fight back against allergies. 15:00 Why our body reacts the way it does to allergies from congestion, migraines, runny nose, watery eyes etc. 16:30 Various things you could be allergic too including cockroaches. 19:30 How antihistamines work against allergies why it's not great because it's only fighting the symptoms and not the cause. 21:00 What a low antihistamine diet is and why it's not the same as working with allergies. 22:00 Oral allergy syndrome that is caused by pollen and foods that you react to unless you cook them. 24:00 Allergies to nightshades like eggplant and birch tree pollen. 24:50 Grass allergies in the spring and the various intense reactions people might have. 26:00 How to naturally combat seasonal allergies in a natural way by healing and supporting your gut. 27:50 How probiotics and fermented foods are a great way to heal the gut and keep your allergies at bay. 31:00 Household items that you probably already have in your kitchen that can help your allergies. 32:00 How consuming local, raw honey can help your body adjust and get used to the local pollen in your area. 33:40 Essential oils that can help you alleviate allergies. 37:00 The benefits of raw milk for asthma and allergies. 38:30 Benefits of foods and teas with the flavonoid, quercetin. 40:30 Stinging nettle tea benefits. OSF 157 - Milk: Why Do We Even Need It? 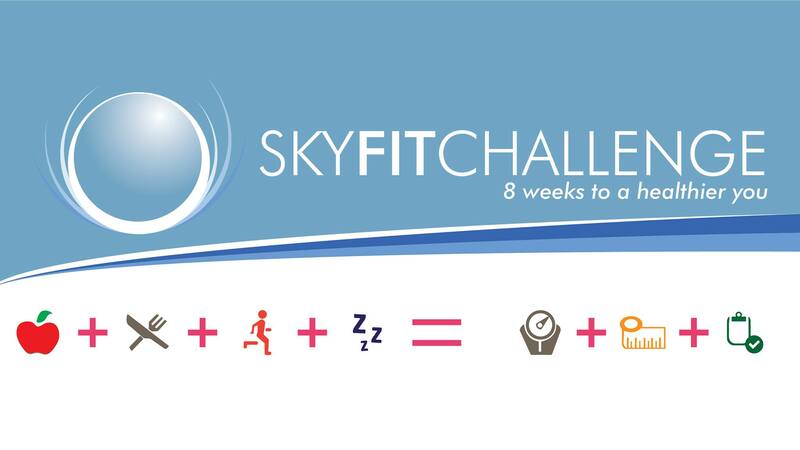 Our 8 Week Sky Fit Challenge has begun but you can still sign up for the next round or learn more about it! Thanks for listening/reading episode 216 - Seasonal Allergies: Causes & Natural Alleviation ! We hope you have gained more knowledge on how to be a healthier you. On this week’s episode #TBT of the Open Sky Fitness Podcast, Devon and I are sharing how you can break out of your comfort zone and begin to live a healthier life. When you’re brand new at building a healthier lifestyle, going to the gym or learning how to cook healthy meals can be stressful and intimidating. However, leaving your comfort zone can easily be accomplished. We’ll explain what a comfort zone is, how optimal anxiety can help you grow, and the benefits of breaking through your comfort zone. This week we have Bestselling Health and Fitness Author, Host of the Muscle For Life with Mike Matthews Podcast, Mind behind the Stacked app, and Creator of both MuscleForLife.com and Legion Athletics, Mike Matthews, joining us for an interview you don't want to miss. Sign up for our next Sky Fit Challange! In our talk, we dive deep into how Mike got his start in the health and wellness industries as a writer and entrepreneur. But before we get into that, you'll also learn how his love of research, learning, and writing led him to write numerous other books from Tesla to training guides for various businesses. How both men and women can get in shape at the gym. His favorite weightlifting tips for beginners. 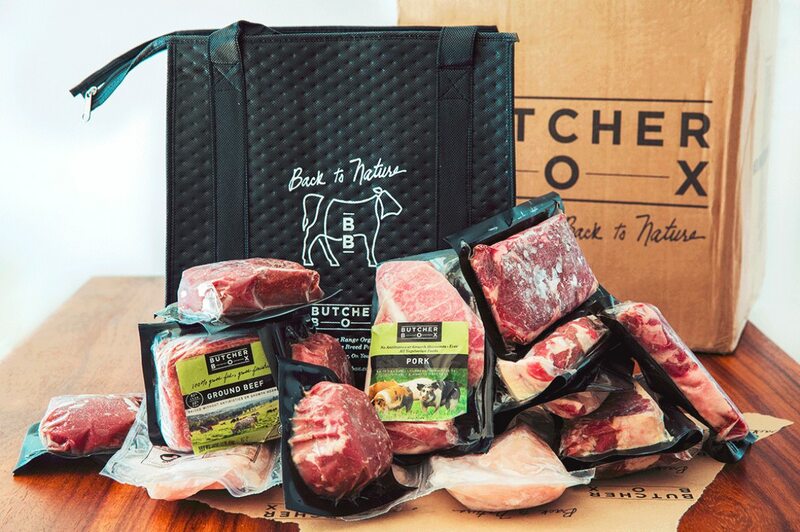 What advice helped him launched his own business. His upcoming book, The Little Black Book of Workout Motivation. About his supplement company, Legion Athletics, and what inspired him to start it. Inner struggles he has faced but why choosing what type of struggle he experiences makes it worth it for himself and his mission. His experience in building various apps and why he wants to offer his, Stacked, for free. Coming out August 30 | Pre-Order Your Copy Today! Have you ever gotten into your car after a long day at work, and even though you promised yourself you'd hit the gym, you head straight home for the couch instead?Have you ever been unable to stop hitting the Snooze button every morning (instead of the gym)? Have you ever been secretly afraid that you just don't have what it takes to really change your body and life? Have you ever struggled so much to build a better body and life that you wondered if it's really worth it? If you answered "yes" to any of those questions, I understand. I've been there myself. It's my personal--and 100% practical and hands-on--blueprint for personal transformation, inside and outside of the gym, and it will provide you with new and valuable knowledge and skills that you will use for the rest of your life. In short, I wrote this book to help you fix the biggest things that are holding you back from doing and achieving the things you care most about. Mike Matthews is a bestselling fitness author of books like “Bigger, Leaner, Stronger” and “Thinner, Leaner, Stronger“. He is also the creator of the blog MuscleForLife.com and the supplement company Legion Athletics. His scientific approach to building muscle and losing fat has helped thousands of people build strong, lean, muscular, and healthy bodies, and his work has been featured in many popular outlets including Bodybuilding.com, Esquire, Men’s Health, Elle, and many more. 8:00 His deep interest in research and digging for answers for himself to find the truth about health and wellness. 11:30 Why he decided to not go to college but instead focus on building a career as an entrepreneur. 14:30 What advice has helped him launched his own business. 15:30 His interest and love of writing and how that helped lead him to write training guides for employers to give to their employees. 17:00 What prompted him to write various books about various topics including Bigger, Leaner, Stronger and the cookbook, The Shredded Chef. 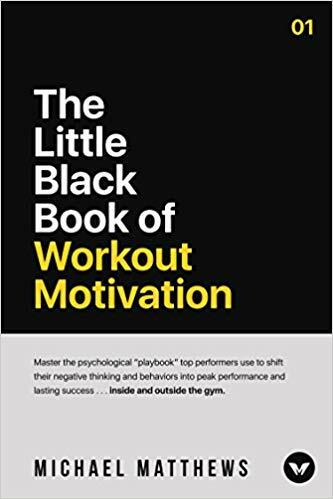 22:30 His upcoming book, The Little Black Book of Workout Motivation. 23:10 About his supplement company, Legion Athletics, and why he started it. 25:00 The various ups and downs he's experienced so far with Legion Athletics and what lessons he's learned along the way. 31:00 What is considered a good multivitamin based on the cost to make the product. 32:00 His mission to help and offer people high-quality supplements and vitamins. 38:00 Inner struggles he has faced but why choosing what type of struggle he experiences makes it worth it for himself and his mission. 41:00 Emotional attachments that we all have to certain aspects of life. 44:00 How he's overcome business losses and came back even stronger. 45:00 How one app didn't work out but he didn't let that discourage him and now he's creating an even better one called, Stacked. 47:10 Exercise - The differences between lifting heavy weights vs. doing cardio with light weights and higher reps.
51:00 Why he loves to work with people who are beginners in the world of health and wellness. 54:30 What women can do to get that toned, leaner and athletic look. 55:20 What men can do to gain more muscle. 55:50 How much and how often both men and women should be lifting. 57:30 His plans to release third editions with updated information about building muscle in both Bigger, Leaner, Stronger and Thinner, Leaner, Stronger. 58:40 The false idea that women cannot build muscle effectively and why it's wrong. 59:20 How women are taught to initially approach weight lifting compared to men plus what they can do to still build muscle at a good pace. 1:01:10 Why, up to a point, doing low rep ranges (4-6) is just as beneficial as high rep ranges (10-12) for building muscle in the long-term. 1:02:00 The importance of doing your sets close to failure and why low rep ranges are better than high rep if you have to choose one over the other. 1:03:40 Why it's better to actually enjoy what you're doing and eating (within healthy limits) than following something that completely makes you miserable. Thanks for listening/reading episode 215 with Mike Matthews: How to Get BIGGER, LEANER, STRONGER! We hope you have gained more knowledge on how to be a healthier you. World-renowned Physical Therapist, Certified Athletic Trainer, and a Certified Strength and Conditioning Specialist, Dr. Charlie Weingroff returns for this special #TBT episode. We had a super interesting conversation with Charlie about his experience as a physical therapist and his different viewpoints on how to properly examine your mobility and movement for any physical problems. We talked about different possible sources such as Charlie’s DVD, Training=Rehab, Rehab=Training as an example of how a person can continue training with rehab techniques; the Functional Movement Screening and how to take advantage of the program; and more importantly, how to find the best medical help and create the best team of health and fitness experts. Today we're going head-on into the topic of how the build lean muscle - SuperSets vs. Traditional workouts. There's a lot people get wrong about building muscle. Many think they have to go all out and women are afraid they'll get "too bulky." We'll go over these myths and more so that you have a full understanding of how you can get and stay strong for life. SuperSets: How to properly do them. Workout Splits - How to plan your weekly lifting workouts. Steps to properly recover and what to do if you regress. Various workout terminology you should know. General full workout examples including warmup, lifts, and supersets to finish. How to achieve hypertrophy to make the most out of your sets. 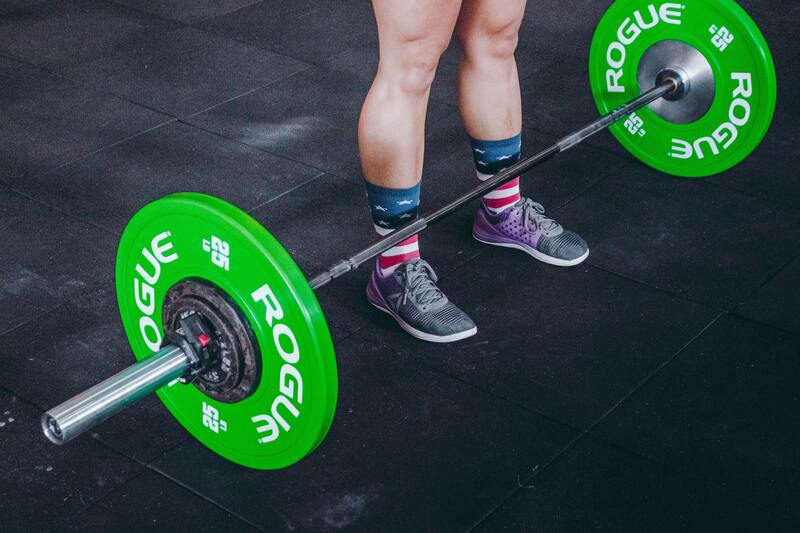 Proper range of motion while lifting. How to figure out what your 1-rep max is. 3:00 Question from our Open Sky Fitness Podcast Group on Facebook: How can I gain weight or muscle mass? As a vegetarian or regarding my diet? 13:40 Examples of traditional lifting sets. 15:30 Differences between supersets vs. traditional lifting sets. 16:50 Paired sets and compound sets in a SuperSet. 17:20 How to succeed with a superset. 19:00 SuperSet options and various workouts. 22:00 Why you should do SuperSets are the end of your workout and how to recover. 23:00 Whether or not SuperSets actually do help us burn more calories at once. 30:30 General workout example for you to follow with a warmup, lifts, and superset to finish. 33:30 Tabata workouts - what it is and how they're beneficial. 38:30 How to achieve hypertrophy to make the most out of your sets. 41:10 Rest periods: How long to do them for and what to expect. 44:10 Tempo - Time Under Tension during a workout plus average tempo. 45:50 Proper range of motion while lifting. 48:40 Cardio - How much is actually necessary when you want to focus on building muscle. 50:40 How to figure out what your 1-Rep max is and why you should do them on free weights and never machines. 57:30 Drop sets - what they are and how to incorporate them into your training. Plus, how often you should be doing them. 1:01:40 Workout splits - How to plan and build your week's workout. Thanks for listening/reading episode 214: Building Lean Muscle_ SuperSets vs. Traditional Workouts! We hope you have gained more knowledge on how to be a healthier you. Author of Two Awesome Hours, Dr. Josh Davis, about how we can become super effective and improve our productivity for both career tasks and fitness goals. We’ve got lots of great pieces of advice and examples for you this week to help you manage your time better and be more efficient! From avoiding distractions, how to take a healthy break; and how to fit your workout into your busy schedule and more. We hope you take a lot away from the Open Sky Fitness podcast this week. Josh Davis, Ph.D. is the author of Two Awesome Hours: Science-Based Strategies to Harness Your Best Time and Get Your Most Important Work Done. He holds a bachelors from Brown University and a PhD from Columbia University. His past work has included mechanical engineering, teaching in a Brooklyn Public High School, and serving on the faculty in the Department of Psychology at Barnard College of Columbia University. Currently, he is the Director of Research and Lead Professor for the NeuroLeadership Institute. He also coaches and trains individuals in the art of public speaking and managing being overwhelmed. His writing has appeared in Harvard Business Review, Business Insider, Fast Company, Huffington Post, strategy+business, Training + Development, People & Strategy, the NeuroLeadership Journal (which he co-edits), Psychology Today, and others. Today, we have a truly special podcast episode for you with Nutritionist Strategist, Food Philosopher, Chef, Creator of Sweet Freedom, and Author of Return To Food, Sherry Strong. In this episode, Sherry will share her own food struggles, what steps you can take to overcome sugar addiction, the 4 Quadrants of Hyper Nourishment: Mental, Emotional, Spiritual, and Physical plus why The Biggest Loser is The Biggest Eating Disorder. Before we jump into the interview, Devon and I answered a question from our Open Sky Fitness Podcast Group on Facebook - How can I acquire clients as a brand new trainer? Spend time in nature by walking around etc. Did you know that sugar lights up the brains dopamine receptors 8 times more than cocaine? No wonder we are addicted to the stuff! But for many people, the idea of completely giving up sugar seems nearly impossible. This is why we have created the 7 Day Eat Less Sugar Challenge. In this challenge, we will teach you the tools and principles you need to dramatically reduce your sugar consumption to a much more healthy level. Consider this course as your first step towards Sweet Freedom! The Challenge takes place over 7 days with a tested and proven strategic process. Each day we give you a new tool and strategy to help you dramatically reduce your overall sugar consumption. Many of us realize we are eating too much sugar, but the thought of going cold turkey seems too much. This challenge is designed to get you eating less sugar on a more consistent basis. Chances are if you are feeling flat, fat and tired, or are experiencing chronic illness, you are not eating real food. If you want to bounce out of bed feeling fit and fabulous you must find out what is and isn't real food. This book challenges prescriptive approaches to diet, eating, and food, with a revolutionary philosophical approach based on science and studying the healthiest, longest living people on the planet. This approach has seen thousands of people develop a more pleasurable, healthier, and more sustainable eating lifestyle. 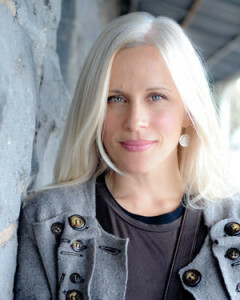 Sherry Strong is a Food Philosopher and Nutritional Strategist. She is a Chef, Nutritionist, the Curator & Co-Founder of the World Wellness Project, former; Victorian Chair of Nutrition Australia, Melbourne President of Slow Food, TEDxTokyo 2009 speaker and was a highly commended faculty member of the Institute of Holistic Nutrition, Vancouver Campus. Her recent presentation at the Canadian School of Natural Nutrition Alumni Association Conference in Toronto commanded a standing ovation and continued praise. 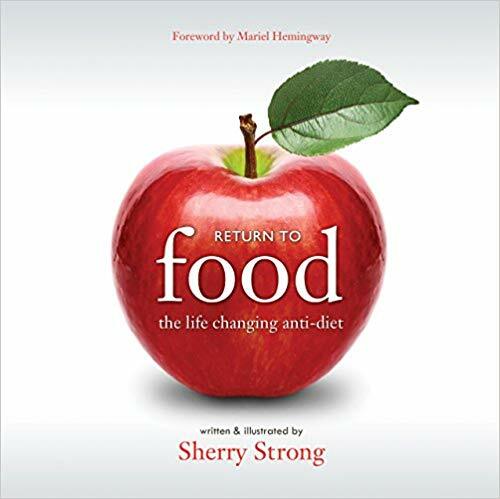 Sherry’s written & illustrated a book called ‘A Return To Food – how going back is the way forward’ which is she presents the philosophies that form the foundation for her 8 week Online Program which teaches people to develop a healthy relationship with food, their body and the environment for a ‘body & life that works’. She is also the founder of the Jiivala Holistic Culinary Academy & Mentorship Program for Holistic Entrepreneurs which is presently transitioning to a 3-month online program culminating in a retreat with Sherry Strong on Bowen Island. Sherry also runs public and private workshops and seminars as well as exclusive coaching and lifestyle makeovers on Bowen Island. Contact Sherry directly for rates and details for her personalized programs. 2:40 Check out last week's show: OSF 212 -Detoxes & Cleanses: Are They Worth It? 3:00 Listen to last week's #TBT episode - Are Steroids Worth The Risk? 8:00 Questions from the Open Sky Fitness Podcast Group on Facebook - How can I acquire clients as a brand new trainer? 22:00 What happens when you give babies refined sugars in their formula. 22:50 The struggles she and her mother have both faced due to high amounts of sugar in their diets. 24:00 The changes that we need to make as a society as far as nutrition and our addictions to sugar. 25:50 Why exercise is not enough; you have to change your diet too. 30:00 What she did to begin turning her life around and eat better. 31:00 Her philosophical approach to teaching people about how humans are supposed to eat to be healthy according to nature, not doctors. 36:00 The difference between listening to your inner voice of addiction and your body's need for nourishment. 44:00 What we're designed to eat and how to break down our bad behaviors. 45:00 Nature's Principle - How nature tells us what and how much to eat for better health. 55:00 How to be consistent, slow down, and take healthy eating one step at a time by being. 1:02:00 Why sugar is such a problem for us and why it's so addictive. Check out last week's episode: OSF 212 -Detoxes & Cleanses: Are They Worth It? Listen to last week's #TBT episode - Are Steroids Worth The Risk? Thanks for listening/reading episode 213 - Sugar Addiction: How to Overcome It with Sherry Strong! We hope you have gained more knowledge on how to be a healthier you. In this week’s #TBT episode of Open Sky Fitness, a friend of Rob’s agreed to do an anonymous interview about his previous experience with taking steroids. No longer taking steroids now, he gave Rob an inside look into how he got involved in steroids, why he decided to stop taking them, and what he learned from the entire experience. The emotional and physical toll of taking steroids. Why he has to do testosterone hormone therapy. How his body changed before, during , and after steroid use. The negative impact of taking steroids. What would happen if steroid use were legal. The impact that media has on men’s body image. The cost of buying steroids. And most importantly, how this person plans to use his experience to help other people who are going through the same situation.